Supported by Clean Cut Kid, The Kooks stopped by the O2 Academy last Friday to promote their new Best Of…So far album. I must say that I was only familiar with a couple of songs from their debut album Inside In/Inside Out, but after this concert I was completely charmed by them. As soon as I got back home, I took a shower, brushed my teeth and put on my pyjamas while listening and moving my hips to their entire discography. What was so memorable about this show was the electric atmosphere of the young crowd singing all of their songs non-stop. There is just something about Glaswegian audiences during live shows that makes them one of a kind, and not once did enthusiasm for The Kooks seem to fade away. During the entire set as bras, beer cups and shirts were flying around, I felt a strong and intimate connection was being created between us, the other fans and frontman Luke Pritchard (thanks to the latter for entertaining us and spreading the fun with his warm presence on stage!). Looking like hipster dads with messy hair, the band played a series of their hits from every album including ‘Naive’, ‘She Moves in Her Own Way’, ‘Junk of the Heart (Happy)’, ‘Seaside’, and ‘Bad Habit’. They also performed their new single ‘Be Who You Are’, an expression of Pritchard’s introspection through the years shared to the world through old-school Kooks sounds. Their live music is powerful and liberating, enough to make you forget about the fact that there is someone else’s beer running down your back. 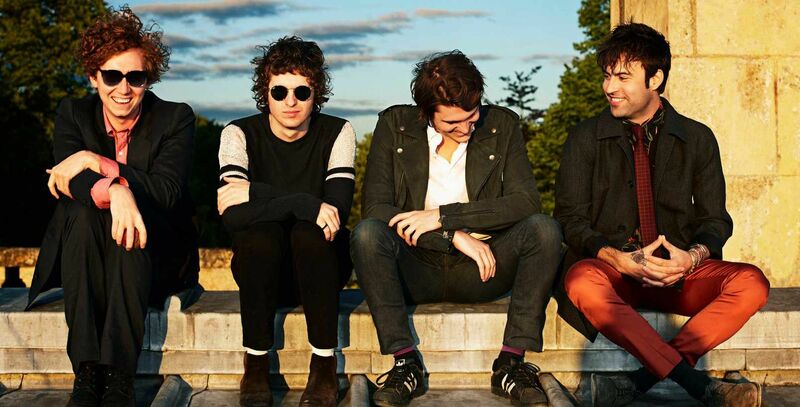 After an experience like that, I am definitely keen to hear The Kooks’ other soon-to-be-released single ‘Broken Vow’, as well as more songs to come.